You have probably heard the phrases ‘software as a service’ and ‘cloud computing’, especially if you have been researching IT support, used as though they were common, everyday terms. That is because, to people in our industry, they are common everyday terms. We get that this isn’t the case for our customers and you can be excused for not knowing what they mean! 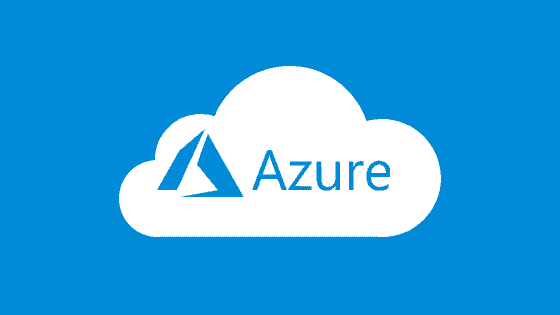 Today we’re going to go into some detail about Microsoft Azure, a software service that enables cloud computing, and we’re going to explain exactly what all of that means and why it’s actually a very simple, often ideal solution for most businesses. Microsoft Azure is a service. When you become a customer, you receive access to a worldwide computing infrastructure run by Microsoft; the service is instant access to the software contained within this infrastructure. We’ll explain further. Microsoft has servers, lots and lots of them – more than you can probably imagine – in key locations all over the world and they host every bit of software you could possibly need on those servers. When you sign up to Microsoft Azure you have access to this software. It’s as simple as that. It means that you don’t need to fill your own basement with servers and buy every software package you want to run. It means that as your software needs alter, you can gain instant access to what you need, without messy installations or huge outlays for hardware. It’s called cloud computing but it could equally be called distant server computing. The software that you access via Microsoft Azure doesn’t sit on a cloud, it has a physical location but most people need never concern themselves with where that is. Microsoft Azure has a relatively intuitive interface, as you would imagine from a Microsoft product, but it also has a pretty staggering array of options. Knowing what options to choose is key to setting things up correctly from the start. Doing so means integrating your Azure services with your existing IT environment and creating a stable framework, onto which new Azure services can be added down the line. We can help with all of this. Our service begins with a free consultation. We will help you to scope out your software requirements and to monitor your needs over time, to ensure that the software you are using remains optimal. Because remember, with Microsoft Azure you can change things easily if and when you need to. Software as a service means on-demand software when you need it and Microsoft Azure is one of the best services out there. If you would like to find out whether it’s right for your business, get in touch to book a free consultation by calling 0151 230 2424. Is it Time for Your Business to Move to the Cloud?